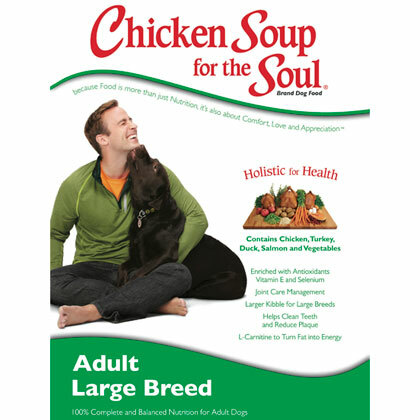 What is Chicken Soup for the Dog Lover's Soul Large Breed Adult Dog Dry Food? Chicken Soup for the Dog Lover's Soul Large Breed Adult Dog Dry Food is specially formulated for large breed dogs. It contains L-Carnitine, which helps to transform fat into energy, along with Glucosamine and Chondroitin Sulfate to promote healthy joints. Ingredients include named meat products, quality, low-allergenic grains, and fruits and vegetables. The large kibble helps reduce plaque and keep teeth clean. 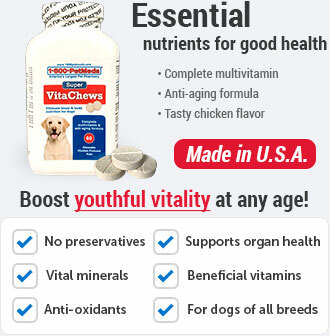 Chicken Soup for the Dog Lover's Soul Large Breed Adult Dog Dry Food contains L-Carnitine, which turns fat into energy by promoting the movement of fatty acids into the mitochondria, which burns fatty acids and makes energy. 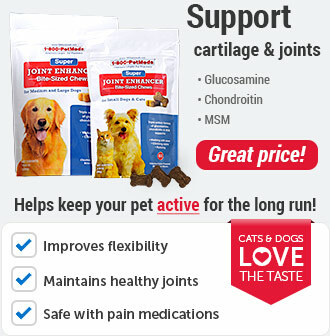 Since large breed dogs can potentially develop joint issues, it also contains Glucosamine and Chondroitin Sulfate to help keep joints healthy. 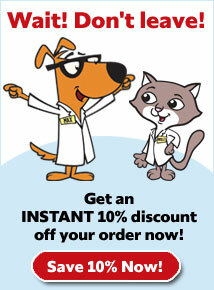 It comes as a large round kibble for the mouths of large dogs to reduce plaque and clean teeth. Chicken Soup for the Dog Lover's Soul Large Breed Adult Dog Dry Food may be suitable for dogs with grain allergies because it contains low-allergenic grains such as oatmeal, rice and millet. 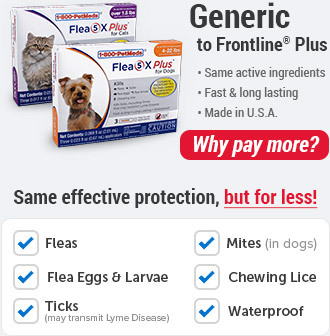 Feed to large breed adult dogs at least 1 year of age. 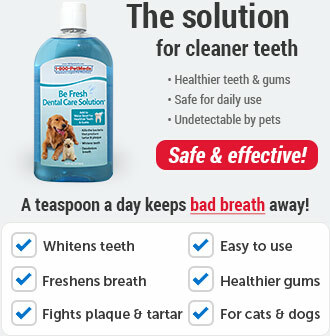 Comes as a large, dry kibble to help keep teeth clean and reduce plaque. 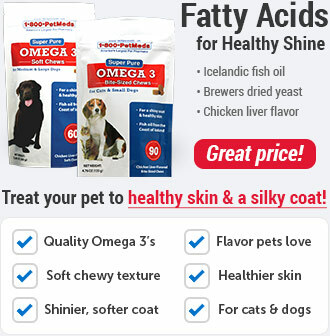 Ingredients: Chicken, turkey, chicken meal, cracked pearled barley, whole grain brown rice, oatmeal, millet, white rice, turkey meal, chicken fat (preserved with mixed tocopherols), potatoes, tomato pomace, duck, salmon, egg product, flaxseed, ocean fish meal, natural chicken flavor, potassium chloride, salt, choline chloride, glucosamine hydrochloride, dried chicory root, chondroitin sulfate, kelp, carrots, peas, apples, tomatoes, blueberries, spinach, dried skim milk, cranberry powder, rosemary extract, parsley flake, yucca schidigera extract, L-Carnitine, dried fermentation products of Enterococcus faecium, Lactobacillus acidophilus, Lactobacillus casei and Lactobacillus plantarum, dried Trichoderma longibrachiatum fermentation extract, vitamin E supplement, iron proteinate, zinc proteinate, copper proteinate, ferrous sulfate, zinc sulfate, copper sulfate, potassium iodide, thiamine mononitrate, manganese proteinate, manganous oxide ascorbic acid, vitamin A supplement, biotin, niacin, calcium pantothenate, manganese sulfate, sodium selenite, pyridoxine hydrochloride (vitamin B6), vitamin B12 supplement, riboflavin, vitamin D supplement, folic acid.